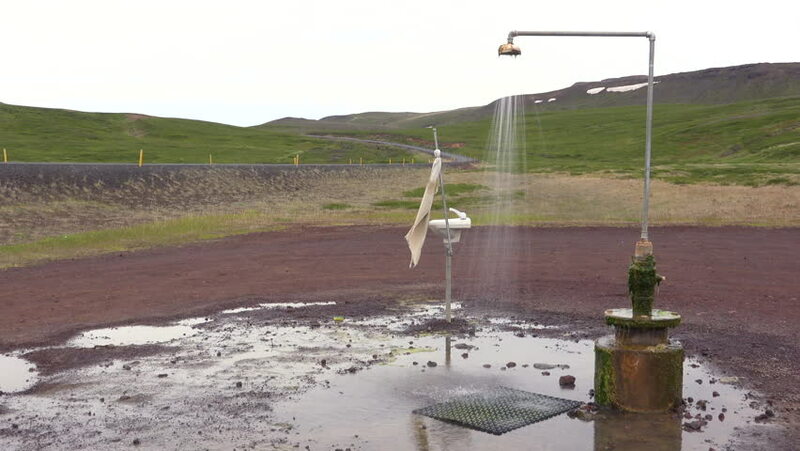 ICELAND - CIRCA 2018 - A sink and shower stand outdoors in this art installation near Myvatn, Iceland. hd00:25Traditional Old English windmill. Drone video footage circling a traditional old English windmill to reveal the picturesque village of Ivinghoe in Buckinghamshire, England on a bright spring day. hd00:18Time-lapse.Ski center in the mountains in summer evening.Inverse weather and view of the mountains in Slovenia.